Dr Alek introduces the skin care brand Dermaquest and gives a quick highlight of all the products in the range and their specific uses. 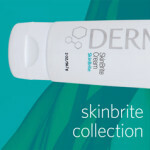 SkinMiles is the first online store in South Africa to become official stockists of the Dermaquest range of skin care products. Here is a quick run down of the brand Dermaquest and their skin products. Dermaquest offers luxury skin care rich in botanical stem cells, peptides and vitamins, with hydrating and protective ingredients that are vital for maintaining skin integrity. With a comprehensive line of collections catering to the most sought-after skin desires, Dermaquest uses the precise amounts of active ingredients and delivery systems to achieve unparalleled results, leaving your skin youthful, bright, clear and radiant. Welcome to the world of unparalleled skincare, where Dermaquest strives to be nothing less than visionary. Since 1999, we have been leaders in advanced skincare technology, formulating products with the latest and most luxurious ingredients. 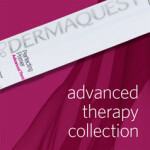 Dermaquest were among the first to put the powerful properties of peptides, micronized zinc and glycolic acid to use. Today, Dermaquest chemists alone are at the very helm of innovation, unearthing the peerless benefits of plant stem cell technology. Dermaquest formulas are already renowned for their effectiveness and superior quality, which in turn became our priorities: to boldly craft the most impressive skincare line possible. We are paraben and cruelty-free. Dermaquest’s current portfolio targets the most demanding of skin care conditions and consists of professional peel treatments and homecare products that offer comprehensive solutions to skin concerns. Due to the range’s highly effective ingredients and the need for recommendation based on skin types and conditions, Dermaquest is physician only and is currently stocked in some of the leading aesthetic clinics in South Africa. The Essentials Collection delivers the nourishment, protection and balance that your skin deserves. Brimming with vital enzymes, vitamins, minerals and nutrients, these core products will revitalize any skin type, and effectively prepare skin to address specific concerns with at home products doctor prescribed skin care products. We all deserve a little pampering. Whether you’ve always had finicky skin, or simply have environmental sensitivities, the Sensitized Collection was specifically formulated to care take and purify even the most sensitive skin. With a gentle cleanser, silky moisturizer and a calming serum, delicate and tender skin can be nourished and refreshed without stripping essential oils. If your skin is in need of an extra boost, the products in the growing Advanced Therapy Collection were crafted to be special additions to your personal home care regimen. Dermaquest’s dazzling Stem Cell 3D Luxury Collection boasts all of the brilliant discoveries we’ve made as the leaders in plant stem cell technology. With a complete 3D Ritual, you’ll be immersed from head to toe in our most transforming and enchanting formulations, crafted to renew, repair and refine your skin with lavish intensity. Leave no stone unturned. Rejoice and indulge in the power of Dermaquest. The years will be kind. 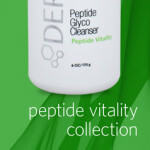 The diverse capabilities of peptides make the Peptide Vitality Collection a miracle for aging skin. Imbued with the strength to prevent and overpower collagen breakdown, paired with their unique ability to plump and smooth, peptides are capable of filling fine lines and wrinkles from within the skin. An incredible advancement in skincare, available from Dermaquest in unique, potent blends. 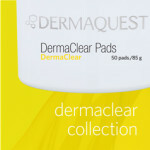 The DermaClear Collection was formulated to combat the many stages and types of acne. Whether you’re prone to breakouts or simply need to correct a spot now and then, Dermaquest offers a variety of products blended to prevent, quell and alleviate the myriad symptoms of acne. The C Infusion Collection boasts the unparalleled powers of BVOSC, a potent yet gentle, stable form of vitamin C. With abilities to give rise to glowing, vibrant skin, this collection promises to energize and enchant. Imbued with Orange Stem Cells, our antioxidant rich blends scavenge free radicals while tightening and evening skin. Let your skin bloom with these nourishing, brilliant formulas. We crafted the SkinBrite Collection to banish dark spots, under eye circles and hyperpigmentation concerns through the powers of brightening botanicals and the latest in illuminating ingredients. 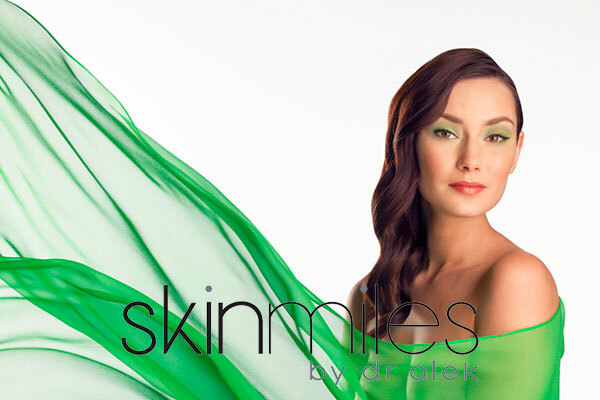 Don’t be left in the dark, our SkinBrite line evens skin tone and brightens for a luminous you.